In 2012, the QueenFanClub of Mexico (managed by Francisco Arellano) invited guitarist Neto Reséndiz to play at the QueenFest2012 in Mexico City. he met drummer Carlos Aceves there and got the idea of starting a Queen tribute band together. 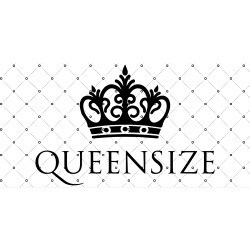 They started looking for members and, after hard work and several line-up changes, the band started oficially as "QueenSize" in 2015 with the entrance of lead singer Pedro Reyes. The band is formed by die-hard Queen fans and got their debut concert at "Freddie for a Day 2015" managed by QueenFanClub Mexico in front of a huge audience.